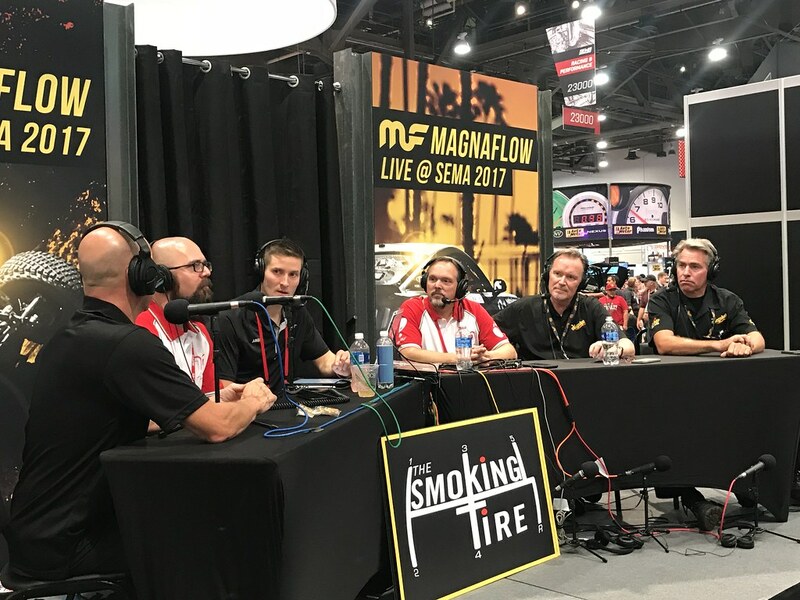 With SEMA 2017 now in the books I thought I’d reflect back on my time there and share some of my thoughts with our DI Blog readers. This year was actually my 3rd time attending the show but it had been 6 years since I was last there. In those 6 years it seems a lot of things have changed, like the size of the event and number of attendees, but much was the same too. One difference this year was that I attended the show alone where previous years I had gone with friends and/or my significant other. While it was a lot of fun having people along, I also found that it can hinder your ability to see all the things YOU want to see and it’s also a lot easier to get around when you’re by yourself. Another change this time around was that Detailed Image asked if I’d mind taking some pictures for them, since this was the first time they wouldn’t be attending the show in 5 years. Of course I was more than happy to take pics with my cell phone; however, it rapidly became apparent how challenging it was to get a good clear shot without someone standing by the object or walking in front of you during the shot. The lighting is also very poor so shots were often a little grainy. To say it tested my patience would be putting it lightly! 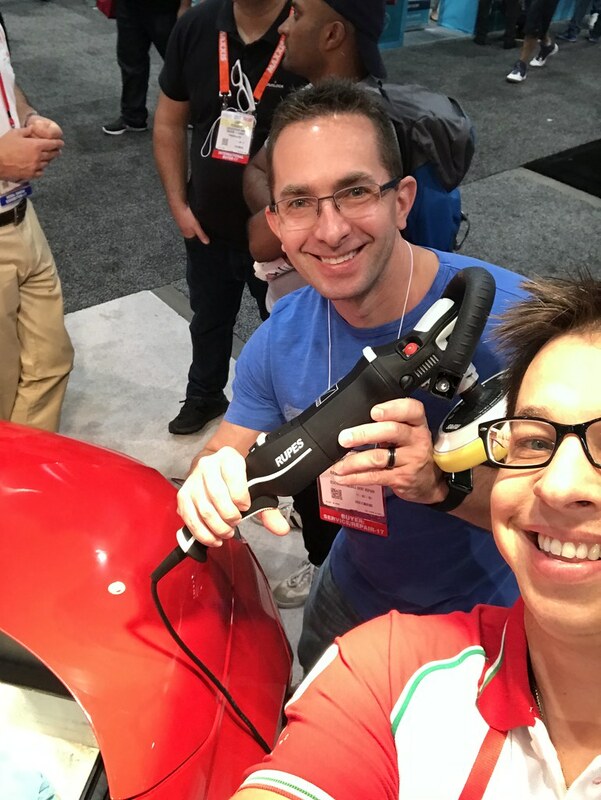 Overall I was able to connect with other detailers and vendors and learn about the new product offerings so I feel the week was a success and met my expectations. 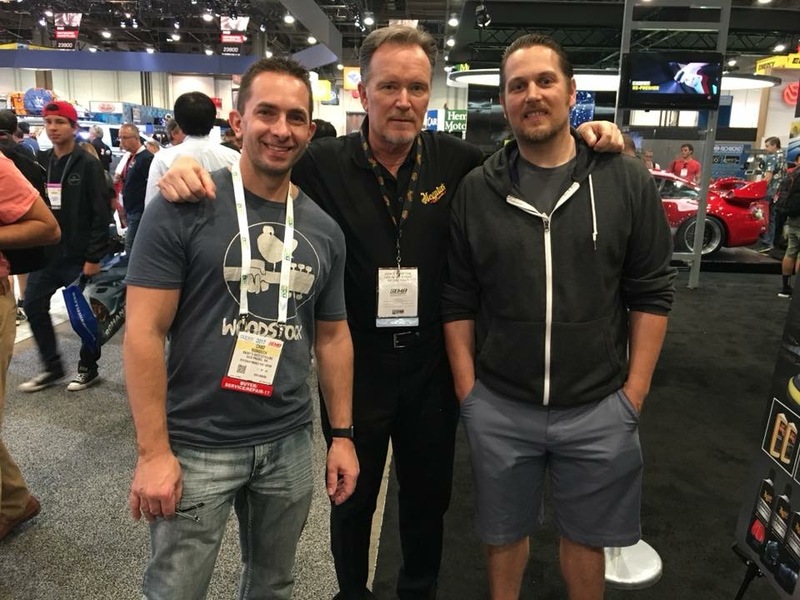 Being a part time detailer my reasons for going to SEMA may differ slightly than some of the full time detailers, but I’d say for me it’s mostly about networking and meeting the people in person you interact with regularly online or with social media. This year I had the pleasure of meeting many new faces for the first time, which is always fun. I also enjoyed spending some time with my fellow CQuartz Finest “CarPro” installers, good friends Gregory Gellas and Christopher Brown, along with some key industry guys I think we all admire and look up to, Kevin Brown, Jason Rose, Michael Stoops, Jeff Brown, and Derek Bemiss, just to name a few. The other obvious reason for going is to see all the new products and offerings being released and talk to the manufacturers. I’ve been toying with the idea of getting into PPF for a while now so my goal this year was to talk with some paint protection film reps as well as a few coating manufacturers to see if there was anything new worth offering, like some of the self-healing coatings making waves. My biggest piece of advice is to plan for a LOT of walking and standing and to wear the most comfortable shoes you can find. Drink lots of water too and probably eat something before you go. They do have plenty of vending at the convention center but lines can be long and there is very limited seating so most end up sitting on the floor to eat. Most of the major hotels offer free shuttles to and from the show but I did experience wait times of 45 minutes or more depending on the time of day. Uber is a great option too but those rides can start to add up fast, especially if you’re by yourself and not splitting the fare. The show is MASSIVE! There is simply no way to see it all in one day so if you’re not there all week plan accordingly for what you want to see as well as any sessions you may want to attend. SEMA also has an app you can download now. I’m not exactly sure when it was released, but this year was the first I’ve seen of it and it was a great tool for planning out my route and all the key booths I wanted to see. The app also made it super easy to locate each booth. On the last day of the show you can often find killer deals on products for sale. Most of the attending exhibitors will sell off the products in their display booths so they don’t have to pack it all back up again meaning that you can usually find very good prices. Many of the exhibitors also have small samples to give away for free . UPS has multiple locations at the show so you can package any purchases and have them directly shipped home. After my 3rd year at SEMA I honestly think the show is starting to lose it’s luster with me a little. Perhaps it’s just that I’m a bit older now, my body is more sore from all the walking, or my patience for large crowds and congested walkways just isn’t what it used to be. That being said, I’m sure I’ll go again and I strongly believe everyone should see the SEMA show at least once in their lifetime as there is an overwhelming amount of cool stuff to see! Larry AMMO pod cast with Derek Bemiss, Michael Stoops, Jason Rose, Dylan Von Kleist, and Kevin Brown. Keep an eye out for this session! Checking out the new Rupes rotary polisher with Todd Helme. Me, Michael Stoops, and Christopher Brown (OCD Car Care). One of the models from the Magnaflow booth who wanted a picture with me. Looking forward to seeing some PPF posts from you. Thanks for sharing the experience. I hear you on large crowds and congestion. I’m nearing 40 and feel the same way. 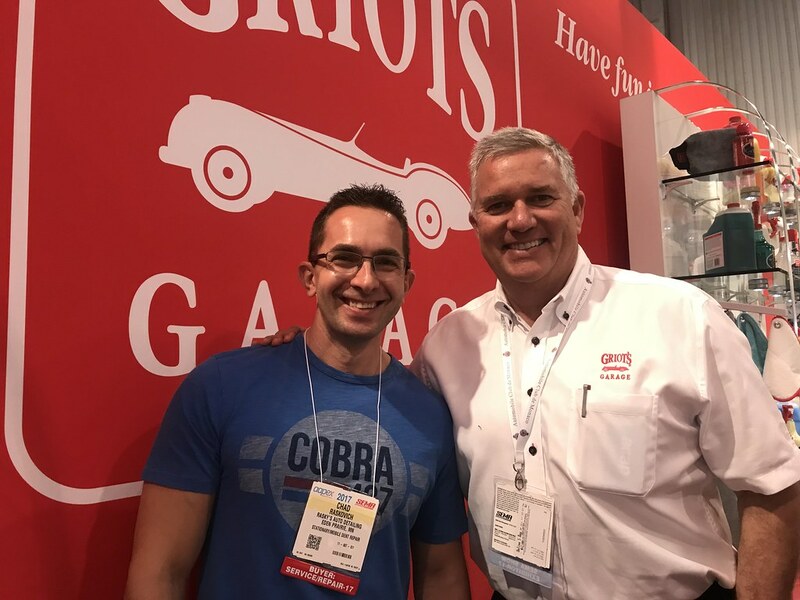 Thank you for sharing… Attending SEMA is on the bucket list!